Experienced. Dedicated. Focused.Don't wait to get help. Call The Right Attorney.™You are not alone. No Fee Guarantee.We don't get paid until you recover. Under the overtime provision of the Fair Labor Standards Act (“FLSA”) and Ohio Fair Labor Standards Act most employees must be paid at a rate of one and one half times their regular rate of pay for any hours worked in excess of 40 hours in any given workweek. Stated another way, if you are a non-exempt employee and you work more than 40 hours in a workweek, you are eligible to receive one and one-half times your regular pay rate for every hour over 40. For example, an hourly employee that receives $10 per hour and work 50 hours in that week is owed $10 for the first 40 hours, and $15 for each hour worked over 40. The biggest misconception that both employers and employees have is that any employee that is paid by salary is not entitled to overtime pay. Wrong! In fact, a large number of the employees that are paid a salary are not exempt or don’t fall within the very specific exemptions spelled out in the FLSA. While being paid a salary is one of the criteria for falling under each of the exemptions, it is only one of many requirements. And, if all of the requirements for an exemption are not met, you are not exempt and must be paid overtime. Furthermore, if your employer pays you a salary but deducts pay from your wages when you miss work, are late, or have to leave early, your employer can no longer classify you as exempt and must pay you overtime pay for all of your time worked over 40 hours per week. Although this sounds fairly straightforward, the actual rule can be highly complex without the assistance of a top wage and hour attorney due to additional provisions that exempt certain employees and employers. Not surprisingly, complaints about lack of overtime compensation are becoming increasingly common and the recent years have witnessed huge collective action lawsuits against employers who have purposefully violated overtime compensation laws. Essentially, every worker and employee is entitled to overtime pay unless they fall into one of the following categories by meeting all of the criteria. Knowing that most employees can be confused by the complexities of overtime wage laws, many employers will try their best to trick employees or creatively play the system to screw their workers out of overtime pay. Given our wage theft lawyers’ regular and ongoing experience with these wage and hour issues, we are in the best position to help sort through these tricks and get you paid what you owed. As mentioned, the federal and Ohio overtime laws are highly complex and contains hundreds of pages of rules and regulations which detail the law’s various nuances. Luckily, The Spitz Law Firm is well versed in these and other employment laws. If you believe that you or someone you know has been wrongfully denied wages or overtime compensation, call the right attorney now a FREE and CONFIDENTIAL initial consultation. Call our Cincinnati attorneys at (888) 707-4448. Call our Cleveland attorneys at (216) 291-4744. Call our Columbus attorneys at (888) 707-4448. Call our Toledo attorneys at (888) 707-4448. The Spitz Law Firm works hard to fight for you to get you what you deserve. I was told that it is too expensive to hire an attorney to pursue overtime claims. Is it worth it to pursue an overtime pay claim? Can my boss avoid paying me overtime by getting me to sign a “flat” salary or pay agreement? Do I get overtime pay if my boss tells me that I am an independent contractor? Can I be called an independent contractor just to avoid paying me overtime? Who is responsible for keeping my hours worked? Do I need to have a record of my hours in order to win an overtime lawsuit? I was told by my supervisor to stay late, but did not get pre-approved written permission to work overtime from HR. Can my job avoid paying overtime because there is no prior written approval? Can my job avoid paying me overtime by giving me the title of manager even though I don’t really manage anyone? Should the tasks that I have to do before clocking in count toward overtime pay? Am I supposed to be paid for activities that my boss says that I have to do before I can even start my job? Should I be paid overtime pay for the time that I worked off the clock? Should I be paid overtime for work that I do outside the office beyond my normal 40 hour work week? Am I supposed to be paid when I do work at home? Should I be paid overtime if I have to eat lunch at my desk and still work 40 hours on top of that? Can my company automatically deduct an hour for lunch if I have to eat at my desk or stay by the phone? Can my boss have me work 50 hours one week to make up lost time from the week before without paying me overtime? Can my company base overtime on a two week period? My boss gave me a gift card for working extra during the busy season but did not pay me overtime – is that legal? Instead of paying me overtime, my boss gave me comp time to take off later. Can my company give me extra vacation time instead of paying me overtime pay? My job does not pay me to travel from the shop to the job site – is this legal? Should I be paid when my job drives me to worksites or between worksites? Can I be required to skip lunch or come in during off hours for meetings without being paid? Should I be paid for non-voluntary training sessions? Should I be paid overtime pay for my on-call hours? When should I be paid for my time if I am not working but am on call? My boss said that because my employment contract says he doesn’t have to pay overtime that I have to work at my regular rate as many hours as he assigns me – can he do that? Can my company make me sign a contract that says that I will not be paid overtime? What can I do if my boss tells me that he can find laborers that will work as many hours as he wants without getting overtime pay? As a blue collar worker, can I be exempt from overtime pay? Do I fall under the Executive Exemption for the purposed of overtime wages? If I’m given an executive title but no executive duties, should I be paid overtime at time and half? Do I fall under the Administrative Exemption for the purposed of overtime wages? Do I fall under the Professional Exemption for the purposed of overtime wages? Do I fall under the Creative Exemption for the purposed of overtime wages? Do I fall under the Computer Exemption for the purposed of overtime wages? Do I fall under the Outside Sales Exemption for the purposed of overtime wages? Do I fall under the Highly Compensated Employees Exemption for the purposed of overtime wages? What does primary duty or primary work mean? How do I determine what my primary duty is? Wage: Overtime Attorney: At The Spitz Law Firm, we do not charge our clients anything up front for overtime claims. Moreover, the FLSA provides that employers that have failed pay overtime wages are liable to pay the employees’ attorneys’ fees should the employee prevail at trial. If our wage and hour attorneys do not recover for you, you don’t pay us at all. Wage: Overtime Attorney: Your employer may try to pay you a “flat salary” no matter how many overtime hours you work. Just because your job puts you on a “salary” does not automatically allow the employer to avoid paying overtime wages for hours worked over 40 hours per work week. This trick should not apply if you are not really involved in actual management, supervision or decision making for the business and making at least $455 per week, or otherwise fit into one of the overtime wage exemptions described above. Wage: Overtime Attorney: One of the most common tricks that employers use to save money by avoid paying both overtime wages and federal taxes is to label their employees “independent contractors.” A contract that states a worker is an independent contractor does not actually mean this relationship is created under Ohio law. Millions of employees are wrongly classified under this term, but they do not understand how it affects how much that they are paid. Because, this it is not an easily resolved issue, the best way to beat this trick is to contact a wage and hour attorney, but your are likely not really an independent contract and thus, entitled to overtime if any of the following apply to you: (1) your employer has the right to control how the work is done; (2) your employer has the right to control when the work is done; (3) your employer has the right to control where the work is done; (4) you are paid hourly instead of a flat fee; (5) you work only for the one employer; (6) you do not advertise your services for hire; or (7) your employer owns the equipment and tools used. Wage: Overtime Attorney: No. Your manager may tell you that you cannot win an overtime claim because there are no records of how much time you worked. False! In reality, the company that you work for is obligated to keep track of all the time worked and the lack of such records actually makes overtime claims easier for the employee, who can establish the hours worked through testimony based solely on recollection. Of course, if you have kept track of your hours worked that would be the best and you should bring those hours with you to meet our wage and hour attorneys. Wage: Overtime Attorney: Your employer may try to convince you that you are not entitled to be paid for overtime hours because you failed to properly fill out paperwork or did not get advanced permission in writing or otherwise. But, if anyone in management for your company, such as manager, supervisor or boss, knew or even just has reason to believe that you are working overtime, the law requires that you get paid at time and a half. Wage: Overtime Attorney: Your boss may try to tell you that you are not entitled to overtime because you have been given the title of manager, assistant manager, supervisor, or similar title. But, simply slapping a managerial title on your job does not preclude you from getting paid overtime, even if the title came with a raise. Instead, your wage and hour attorney will look to see if you actually have any real authority to manage, direct, or control other employees, and if so, how many; if you get to make real business decisions; if you have real input to the operation of the business; if you have direct authority to hire or fire other employees; and several other considerations. If you don’t, the chances are that you are only a manager in title and should be paid overtime whenever you work more than 40 hours in any given week. Wage: Overtime Attorney: Yes. Your manager or supervisor may tell you that you have to perform pre-work tasks before “starting” your work day, such as donning protective gear, booting a computer in order to clock in, participating in roll call or travel from the shop to a job site. This is work and you are entitled to be paid for it as a matter of law. In fact, if you were already working 40 hours per week, you are entitled to overtime wages at time and a half for all of this pre-punch in time worked. Wage: Overtime Attorney: The best answer us that theree should never be any time worked off the clock. It is against the law for your boss, supervisor, or manager to require you to clock out at the time you are scheduled finish your work day, but continue working “off the clock” to finish your work, remove protective gear, travel back with other employees to the main location, return or clean tools and/or equipment or do a few extra work-related tasks. Your employer may attempt to convince you that working this overtime hours is only required because “you should have been able to complete the job during regular working hours.” This is a lie and does not stand up in court. Again, you are entitled to be paid for this work, and if you were already working 40 hours per week, you are entitled to overtime wages at time and a half. Wage: Overtime Attorney: If you spend time doing work at home – which may include organizing records; finalizing presentations; reviewing or editing reports; conducting online research; being sent on errands to get materials for work the next day; or even responding to emails from customers or your boss – you are entitled to be paid for this work. If this work pushes you past a 40 hour work week, you should be paid time and a half for all hours over 40. Wage: Overtime Attorney: Has your employer told you that you have to (or even just allows you to) eat lunch at your desk so that you can answer phones, review documents or do other work, but still deducts a lunch break from your pay check? Many employers and companies have a policy that will automatically deduct time for lunch from a paycheck even if the employee cannot leave for lunch. This is illegal. If you are not completely free of your job responsibilities, you must be paid for that time. If you boss won’t let you leave the building or go out for lunch, you are likely entitled to be paid for that time. And, once again, if working during your lunch pushes you past working more than 40 hours for the week, that overtime pay should be calculated at time and a half your normal pay rate. Wage: Overtime Attorney: Your boss may try to average two or more workweeks to avoid the overtime threshold. For example, your employer may try to combined 50 hours that you worked one week with the 30 hours worked the next to create an average of 40 hours per week in order to avoid paying your overtime wages. But, this too is an illegal overtime trick. Under this example you should be paid 10 overtime hours for the first week and regular wages for the remaining time. Our wage theft lawyers see this a lot with workers whose schedules are dependent on weather conditions. A wash out on Thursday and Friday does not mean that you job can make you work overtime on Monday and Tuesday without paying you time and a half for all hours that you go over 40 hours in each week. The risk of bad weather or other delays is on the company, not you. Wage: Overtime Attorney: Your employer may try to pay you a periodical bonus or give you a gift or something extra as thanks for working overtime. While a little extra bonus or token of appreciation is nice, you are still entitled to be paid time and a half for each hour worked over 40 in a single workweek (and would not have to give back the bonus). Wage: Overtime Attorney: Non-government employers may try, but they cannot give you “comp time,” extra vacation time, or more paid time off instead of overtime pay. For example, non-government nursing homes cannot set up a system that pays a nurse straight time for extra shifts picked up over 40 hours by giving them extra time off the following week or some later time. It becomes even more of a problem when your boss makes it difficult to use the promised comp time, which results in a full loss of pay. Wage: Overtime Attorney: While you are not entitled to be paid driving between home and your fixed job location, your employer may try to convince you that you are never entitled to be paid while traveling from job site to job site; your fixed job site to a different job site; or for overnight travel. If this travel time results in you working over 40 hours for any given week, you are likely entitled to overtime pay. Wage: Overtime Attorney: Has your employer required you to attend work-related meetings and/or training sessions that are held at times that you are not scheduled to work, but not allowed you to punch in for these events? Your supervisor, boss, or manager my tell you that this is a prerequisite for continuing to be employer or mandatory training that you need to do your job, but neither of these reasons, even if true, allows your employer not to pay you for showing up for these meetings or training sessions. In fact, this overtime trick is illegal and you are entitled to your wages for all work related activities and overtime if these meetings are in addition to your regular 40 hour work week. Wage: Overtime Attorney: Your employer may try to have you on a restrictive “on call” schedule that prevents you from engaging in certain activities or leaving a certain geographical area, but not pay you for your “on call” hours. Depending on a variety of factors that your wage and hour attorney can discuss with you, you may be able to be paid for all “on call” hours, including time and a half for all overtime hours. Wage: Overtime Attorney: No. The minimum standards in the FLSA cannot be contracted away, waived, or otherwise reduced. This means that a paragraph that is snuck into an employment contract or employee handbook cannot be used to block your right to be paid overtime. Even collective bargaining agreements cannot contract away, waive or otherwise reduce FLSA protections. If there is such a provision in any contract or union agreement, you should simply ignore it because it cannot be legally enforced by your company. Wage: Overtime Attorney: No. Never. The overtime exemptions provided by FLSA never apply to blue collar worker, but only to “white collar” employees. The exemptions discussed more below never can be applied to deny overtime pay to manual laborers that perform work involving physical skill, repetitive hands operations, and energy. So non-management blue collar workers that are employed in construction production, and maintenance are always entitled and can never be denied overtime pay at time and half. This is true no matter how highly paid a blue collar worker might be. This applies to plumbers, craftsmen, construction workers, carpenters, electricians, mechanics, iron workers, and laborers, among others. Wage: Overtime Attorney: In order for you to fall within the Executive Employee Overtime Exemption, your employer would have to prove all of the following: (1) you be paid a salary (as as opposed to hourly) at a rate of not less than $455 per week; (2) your primary work duty must be managing the business as a whole, or managing a customarily recognized department or subdivision of the business; (3) you must customarily and regularly direct two or more other full-time employees’ work; and (4) you must have the independent ability to hire or fire other employees, or at the very least, your recommendations on hirings, firings, and promotions must be given significant weight by your company. If you do not meet all of the Executive Exemption requirements – say you only direct one employee or you have no ability or input into hiring or firing – you are entitled to be paid overtime at time and a half your weekly salary plus bonuses divided by 40 hours. Wage: Overtime Attorney: You would only fall within the Administrative Employee Overtime Exemption, if your company can show that all of the following criteria are met: (1) you must be paid on salary or fee basis at a rate of at least $455 per week; (2) your primary duty must be performing office or non-manual work that is directly related to the management or general business operations of the company or its customers; and (3) your primary duty must allow you to exercise your own discretion and independent judgment on matters of significance, as opposed to trivial things such as selecting the type of pens to buy for the office. Again, if all of these criteria are not met, you do not fall under this exemption and would be entitled to overtime pay. Wage: Overtime Attorney: For you to qualify as exempt under the learned Professional Employee Overtime Exemption, your employer must show all of the following: (1) again, you must be paid at least $455 per week on a salary or fee basis; (2) your primary duty must be the performance of work that requires a level of advanced knowledge. This is further defined as work that is principally intellectual in character and requires your regular exercise of discretion and judgment; (3) your advanced knowledge must be in a field of science and/or learning; and (4) your advanced knowledge must be customarily “acquired by a prolonged course of specialized intellectual instruction,” or more directly, lots of college and advanced degrees. Wage: Overtime Attorney: If your employer want to place you under the Creative Professional Employee Overtime Exemption, it must prove that all of the following tests have been met: (1) as you may be noting is a common element, you must be paid a salary or fee of at least $455 per week; and (2) you must primarily perform work that requires invention, imagination, originality or talent in a recognized field of artistic or creative endeavor. Wage: Overtime Attorney: To qualify for the Computer Employee Overtime Exemption, the following criteria must be shown by your employer: (1) you have to be paid a salary or fee of not less than $455 per week or, unlike other exemptions, you can be paid on an hourly basis at a rate of at least $27.63 an hour; (2) you must be employed as a computer systems analyst, computer programmer, software engineer or other similarly skilled worker in the computer field performing one of these duties: (a) application of systems analysis techniques and procedures, including consulting with users, to determine hardware, software or system functional specifications; (b) design, development, documentation, analysis, creation, testing or modification of computer systems or programs, including prototypes, based on and related to user or system design specifications; (c) design, documentation, testing, creation or modification of computer programs related to machine operating systems; or (d) a combination of the aforementioned duties, the performance of which requires the same level of skills. So the tech guy that gets your mouse or monitor to work is not exempt simply because he or she is the computer gal or the tech guy. Wage: Overtime Attorney: Unless you meet both of these criteria, you do not fall within the Outside Sales Overtime Exemption: (1) your primary duty must be making sales, or acquiring orders or contracts for services or for the use of facilities be paid by a customer or client. In this regard, “Sales” is defined by the FLSA to mean any sale, exchange, contract to sell, consignment for sales, shipment for sale, or other disposition. It includes the transfer of title to tangible property, and in certain cases, of tangible and valuable evidences of intangible property. ; and (2) you must be regularly and customarily working outside of your employer’s normal place(s) of operation. Wage: Overtime Attorney: You will only be considered under this overtime exemption if you: (1) do office or non-manual work; (2) are paid total annual compensation of at least $100,000, of which $455 must be paid per week on a salary or fee basis; and (3) perform at least one of the duties of an exempt executive, administrative or professional employee as described above. Wage: Overtime Attorney: “Primary duty” is defined as the principal, main, major or most important duty that you perform on your job. A court will decide what you primary duty is based on all the facts in your particular case, with the significant focus on the nature of your job as a whole. Most attorneys wouldn’t touch my case or treated me like a second class citizen because I was making minimum wage. I know the important people and the large cases that attorney Spitz has had for clients, but he always treated me like I was his most important client and he got me a lot of money for my case. The Spitz Law Firm sued my company and I saw firsthand the quality of work and the result that they obtained, but in a professional and respectful manner. So when my wife had an issue with her employer, I called Brian to represent her. He did not disappoint. I was amazed at how honest attorney Spitz was with me. The free meeting was really free. He took the time and gave me honest options. When they took my case, I did not have to pay him anything upfront like he said he would. Then he got me more than I ever thought possible. I give everyone I know his card. Attorney Spitz is the best. My boss sexually harassed and touched me. I was so hurt and scared. Brian took care of me and gave me my life back by going after him and [my employer]. These guys are not afraid of anything or anyone. Brian explained in a way that I could understand everything that was happening and what would happen. It was like he could see the future and was planning three steps in front of everyone else. It was crazy. 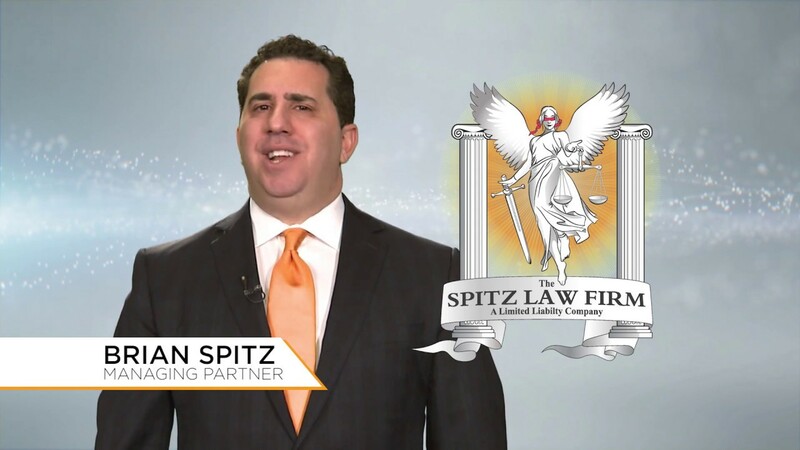 Brian Spitz and the attorneys at The Spitz Law Firm are the most courteous, caring, professional individuals with a WARRIOR’S attitude to fight for the clients and justice. The Spitz Law Firm worked meticulously and determinedly regarding my discrimination case against a former employer. I am very satisfied with the conclusion of the case. The attorneys and staff were proficient, considerate and compassionate. I will refer my family and friends to the Spitz Law Firm because I know they will work resolutely to make sure their clients are pleased. How Is Overtime Calculated For Piece Rate Workers? Can Hourly Employees Be Exempt From Overtime? This employment law website is an advertisement. The materials available at the top of this overtime, wage and hour, and wage theft web page and at this employment law website are for informational purposes only and not for the purpose of providing legal advice. If you are still asking, “Am I entitled to overtime?”, “Does my job have to pay me for …”, “My paycheck is not right…” or “What do I do if…”, the your best option is to to obtain advice with respect to FLSA questions or any particular employment law issue. Use and access to this employment law website or any of the links contained within the site do not create an attorney-client relationship. The legal opinions expressed at the top of this page or through this site are the opinions of the individual lawyer and may not reflect the opinions of The Spitz Law Firm, , or any individual attorney. The materials available at this website are for informational purposes only and not for the purpose of providing legal advice. You should contact your attorney to obtain advice with respect to any particular issue or problem. Use and access to this website or any of the links contained within the site do not create an attorney-client relationship. The opinions expressed at or through this site are the opinions of the individual author and may not reflect the opinions of the firm or any individual attorney. This website and the materials contained herein are attorney advertising. The pictures depicted herein are reenactments and may not have been taken during actual events. Additionally, stock photographs were used to depict non-legal events. No actual client pictures are used on the website.